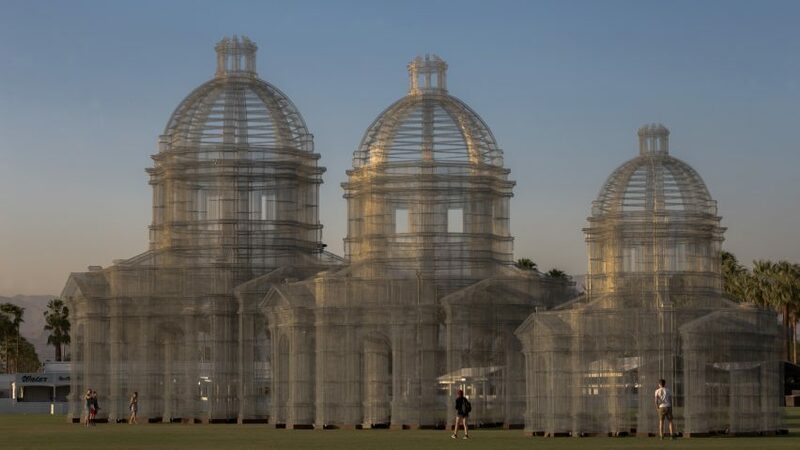 While music acts like Beyoncé entertain throngs at this year's Coachella festival, visitors are also treated to large-scale sculptures and installations across the California desert site. Here are some of our favourites from the event this month. 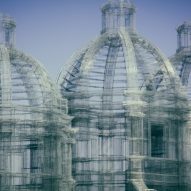 Wire mesh forms the blurred outline of three cathedral-like pavilions in this installation by Italian artist Edoardo Tresoldi. 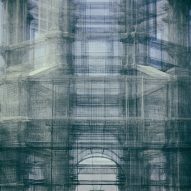 Ranging in height from 36 to 72 feet (10.9 to 21.9 metres), each has a collonade with arched openings at the base and domed roof, which draw on the decorative features found neoclassical and baroque architecture styles. 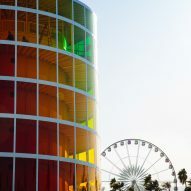 Designed by UK studio Newsubstance to provide revellers with a place to retreat, Spectra is a seven-storey cylindrical tower with a spiral staircase that winds up to a lookout point at the top. 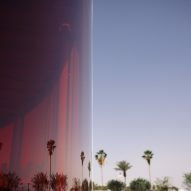 Translucent panels in a rainbow hue encase the structure, offering saturated views across Coachella during the day. At night time, 6,000 feet (1,828 metres) of LED lights illuminate the different hues. 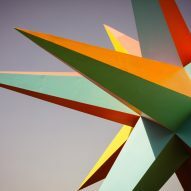 Large, multi-coloured spikes extend 40 feet (12.2 metres) in all directions to form Supernova, designed by Argentinian artists and architects Roberto Behar and Rosario Marquardt. 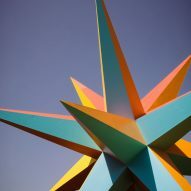 The structure, which is made up of 12 huge stars, provides festival-goers with a place of shade during the day. It then lights up at night to form a landmark meeting spot. 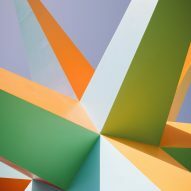 For Palm-3 World Station, artist Simón Vega has used elements found in shanty towns in his home country El Salvador to model the shape of Soviet space station Mir. 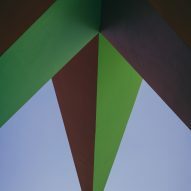 The structure comprises 30 modules built from materials including corrugated metal sheets, television aerials, washings lines, trailing planting and signs, and spans 150 feet (45.7 metres) in length. 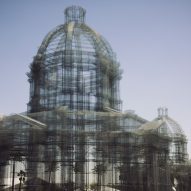 Finding her original idea to build a four-storey-high water fountain in the desert climate too ambitious, US designer Katie Stout decided to develop a virtual version of a waterfall. 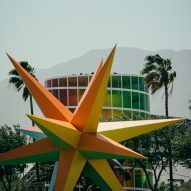 Stout, who collaborated with digital art studio Simaxiom, has erected canvases across the site where audiences can experience the augmented-reality artwork using the Coachella App and activating the Coachella Camera. This sculpture by Brooklyn-based artist Randy Polumbo looks like an aircraft nose-dived straight into the festival grounds. An upturned Lockheed Martin Lodestar jet, a second world war aircraft that Polumbo sourced online, forms the body. 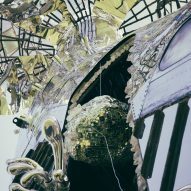 The artist then added a cage-like viewing tower at is tail, decorated with glittery disco balls, hand-blown glass flowers and metallic petals. 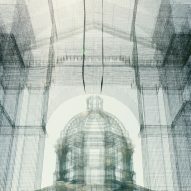 Top image is by Roberto Conte. 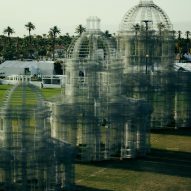 Other images are courtesy of Coachella Festival.